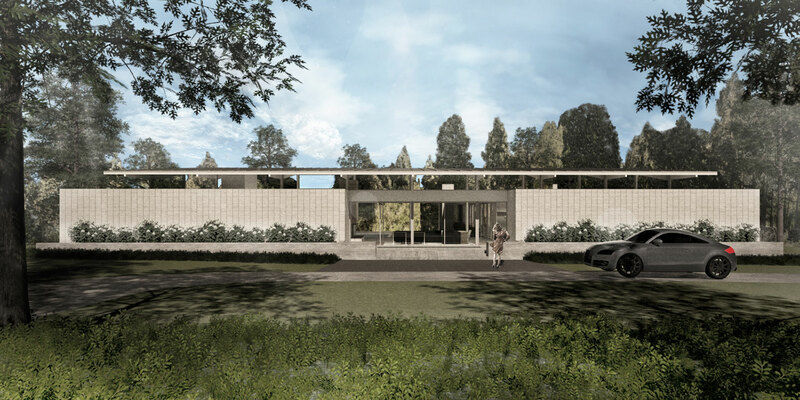 This will be the first modern house in the small town of Sulphur Springs, Texas. Set on an open site near a lake, the house embraces outdoor living with a courtyard space that features a pool and fireplace. Large expanses of glass in the living and bedroom areas allow for great views across the site, while a broad overhanging roof gives plenty of shade. 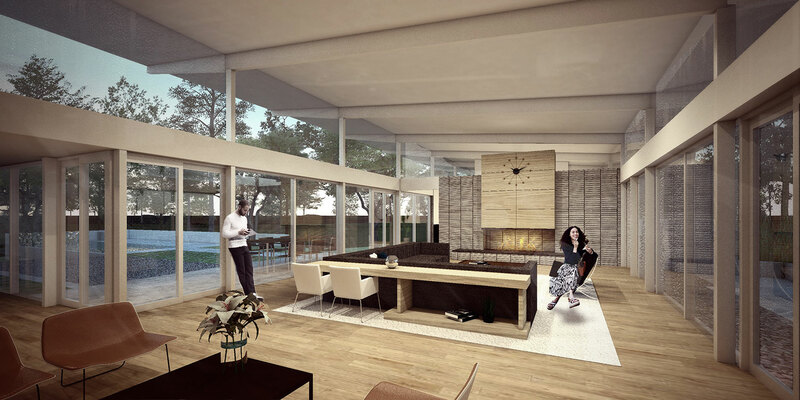 The primary materials of white stack-bond brick and a variety of types of wood create comfortable living areas while giving a nod to the mid-century architecture that is meaningful to the clients. 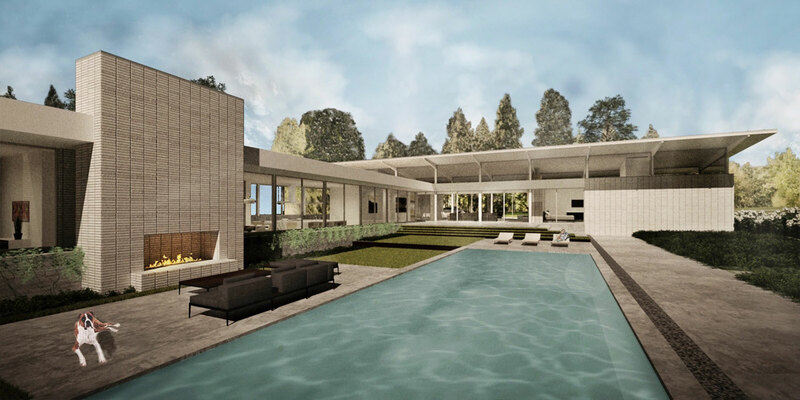 The plan features two large master suites, one at each end of the house, and a kitchen that opens to an outdoor breakfast terrace to the east. 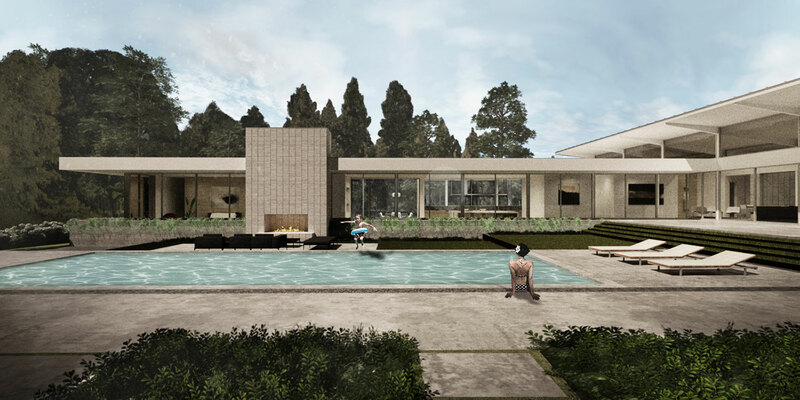 The house is currently in development, and completion is planned for late 2018.